I’ve been obsessed with these half lip gloss half lip stick wonders since they first hit the beauty market around the end of last year. If you’ve read my blog before, you’ll know that anything that requires minimum fuss is perfect for me. I found that, in general lipsticks were too creamy or too dry and would slide off my lips within an hour and lipgloss just never lasted long enough before I licked it off my lips (wind + hair + sticky lipgloss was never a good look). It turns out that their child (The hybrid of lipstick and lipgloss that Revlon have created) is amazing. For those of you in the States, this is probably old news but it has only just recently come out in the UK which is exciting! 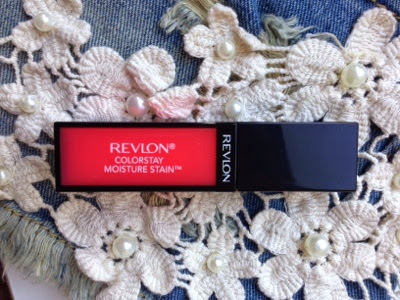 The Revlon Colourstay Moisture stain is advertised as a "Ultra-light creamy lipstain with Vitamin E and Aloe". I can agree that it is very moisturising on the lips and is just the right amount of stickiness. It does a good job of staining my lips for the whole day. The colour I got to try out is Cannes Crush which is a pinky corally colour, which is a safe option for me. I always find it difficult to find corally lip products to show up on my lips as my lips are naturally quite pigmented. This was is no exception but it does give my lips a nice sheen and a slight hint of colour, which is great for an everyday lip. The brighter coloured ones like Barcelona nights (bright fuchsia) or Shangai sizzle (a bright red) would probably stain the lips more. Overall, I am loving the whole lipstain/gloss products that so many beauty brands seem to be jumping on the bandwagon! I have done product reviews of other lipstain glosses which you can read before deciding which one to buy. The Bourjois rouge edition matte lipstains are amazing and L'oreal L'Extraordinaire lipgloss stains have been my favourites ever since I bought them. 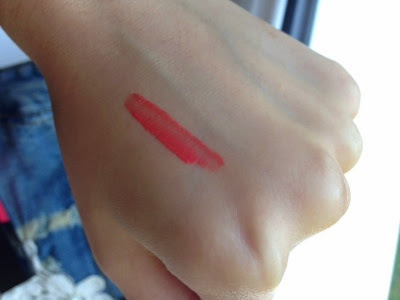 If you're looking for something long lasting out of the 3 I've mentioned, go for the Bourjois lip. For those who haven't quite plucked up the courage to wear a full on bright lip (I've only just managed to recently! ), then the L'oreal would be your best bet as you can sheer it out with your finger to your preference! Lastly, the Revlon Cannes Crush is great for an everyday wear.